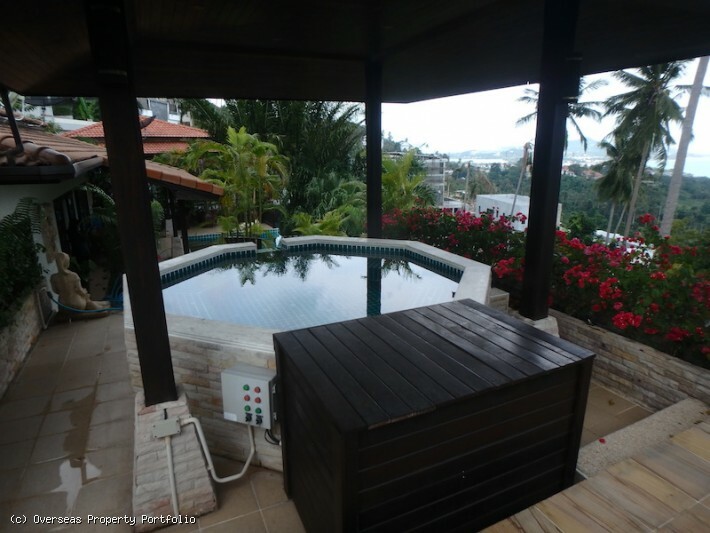 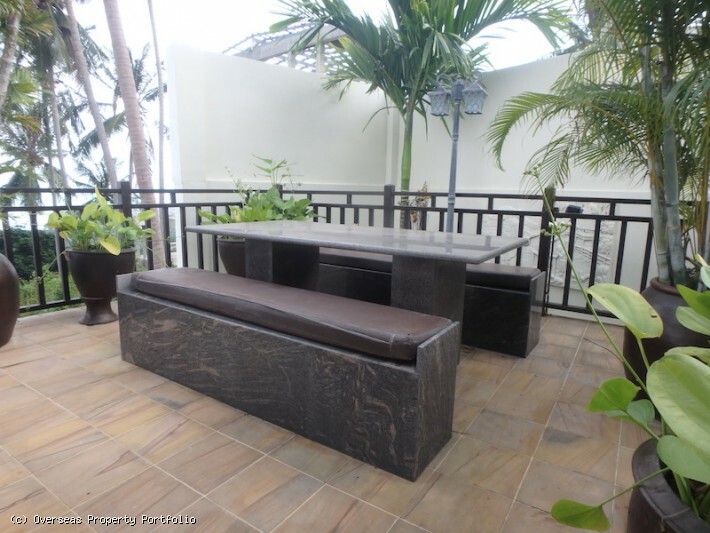 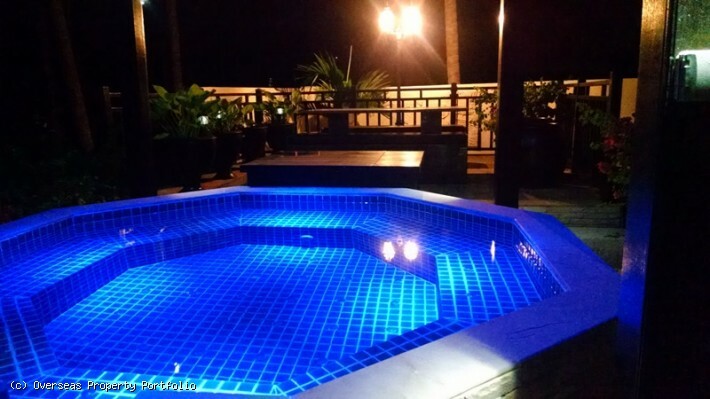 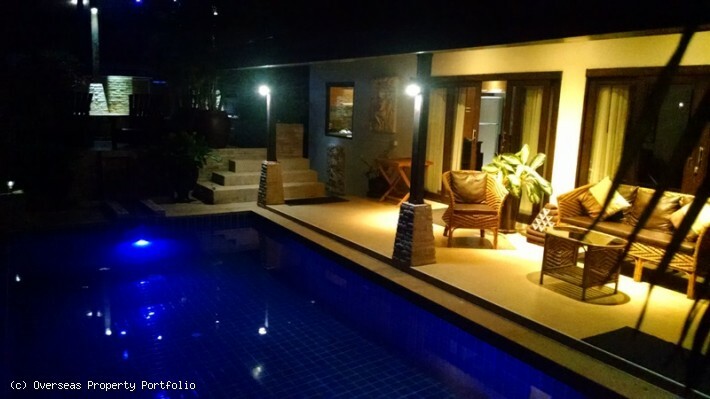 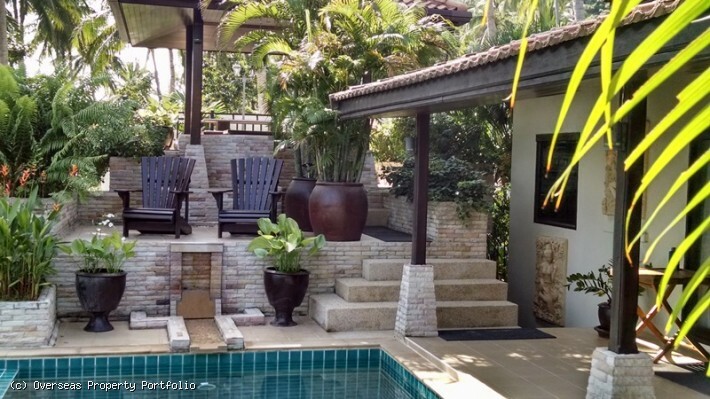 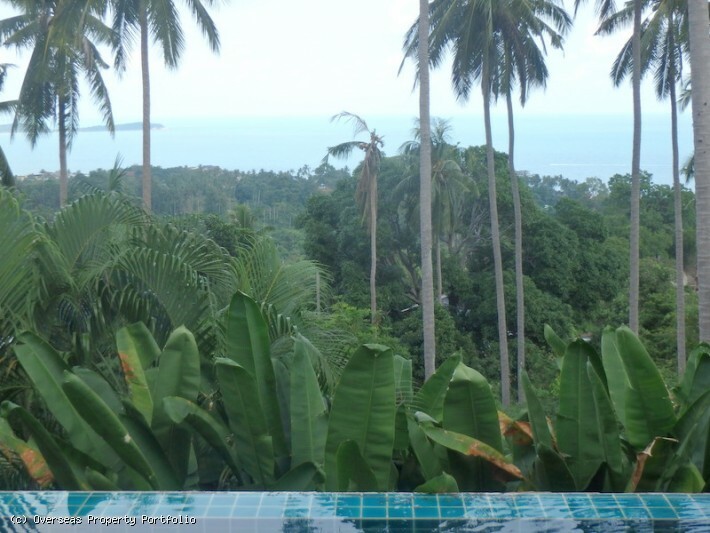 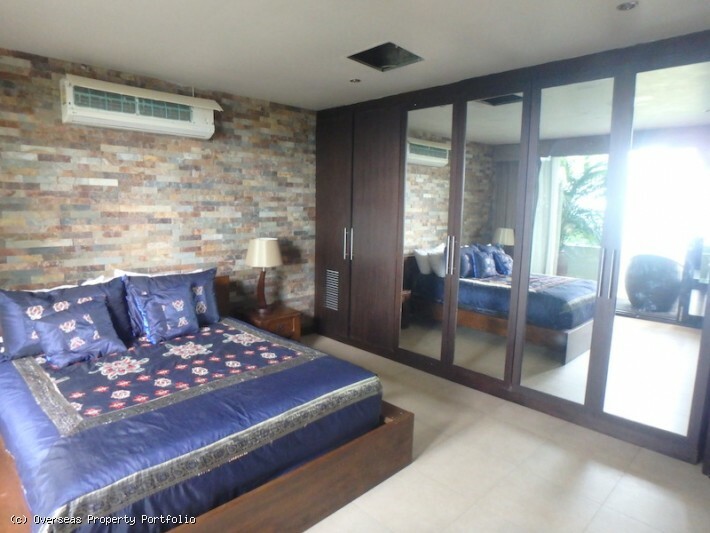 This walled in Koh Samui villa for sale is nestled on a lush and picturesque hillside in a quiet residential area in Chaweng Noi, ideally located to all amenities including Bangkok Samui Hospital, Central Shopping Mall, International Schools and the restaurants and beaches on the North East coast. 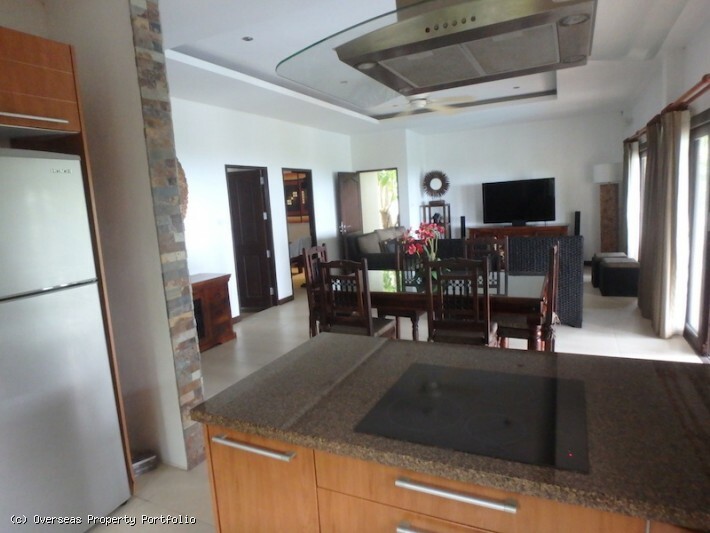 The two storey villa comprises of an open space living and dining area along with fully equipped kitchen on the top floor. 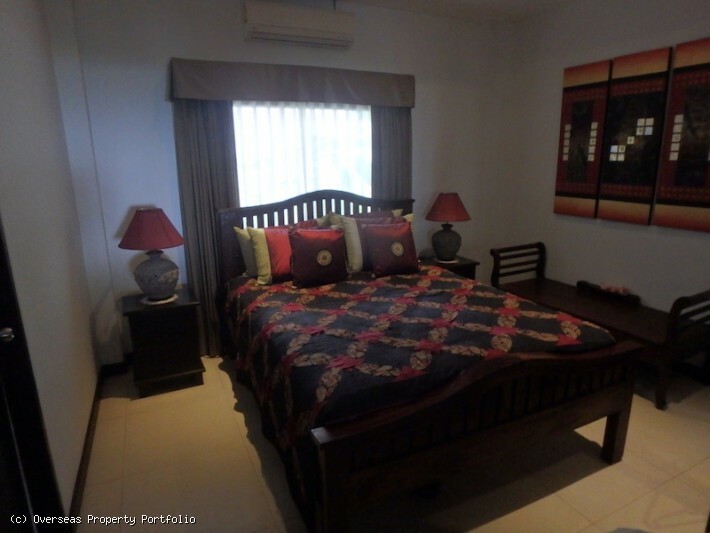 To the rear are two guest bedrooms of the property. 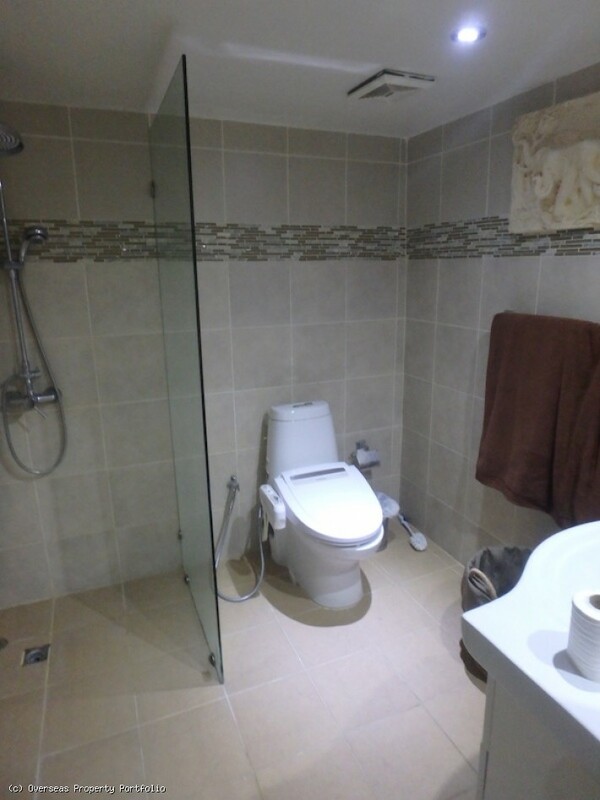 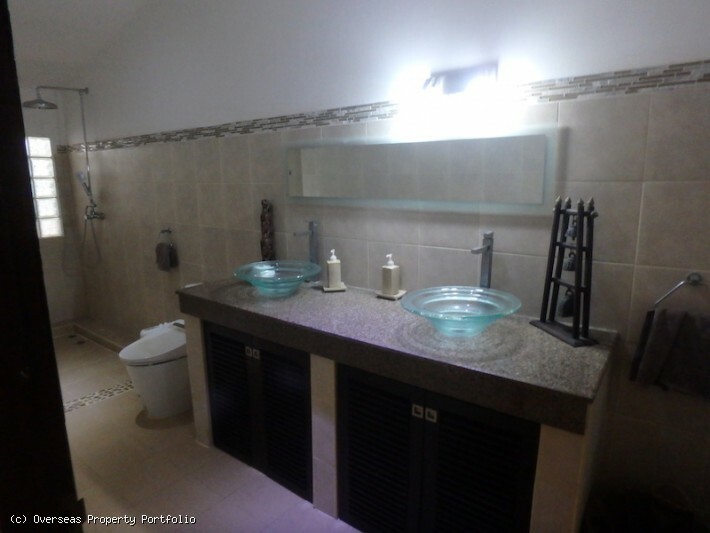 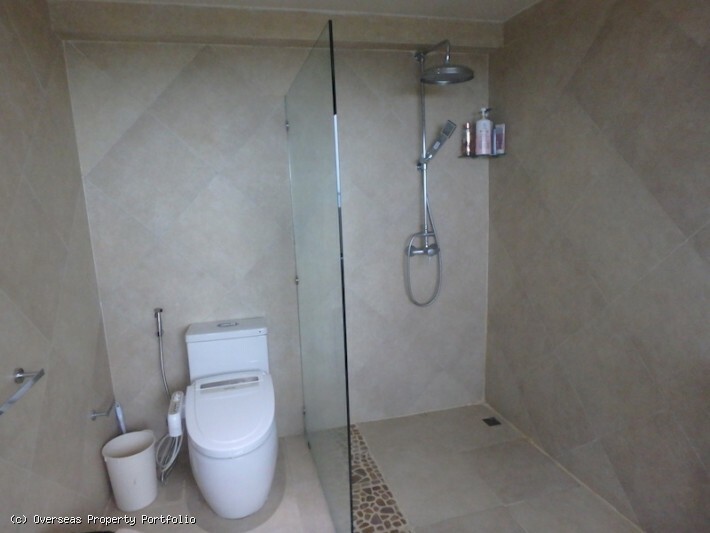 One bedroom features an ensuite bathroom with twin basins, shower and bath while the second bedroom shares the bathroom with the living area. 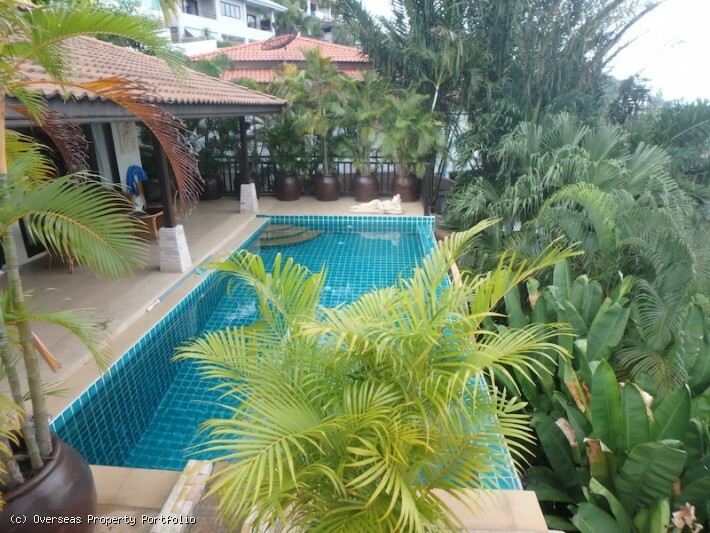 The main area opens onto a covered terrace and 28 sqm swimming pool looking to the azure waters of Chaweng Bay. 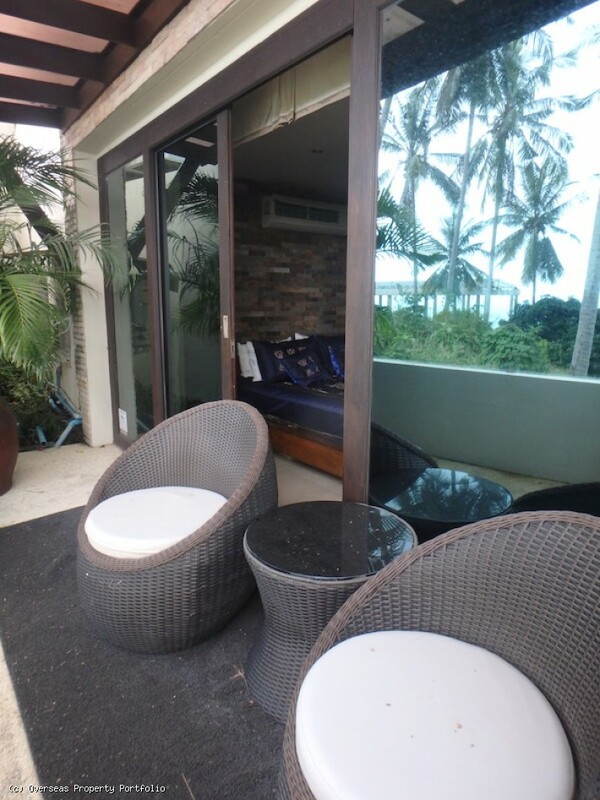 To the side is a sala with separate 8 seat spa, a perfect spot to relax and enjoy the views. 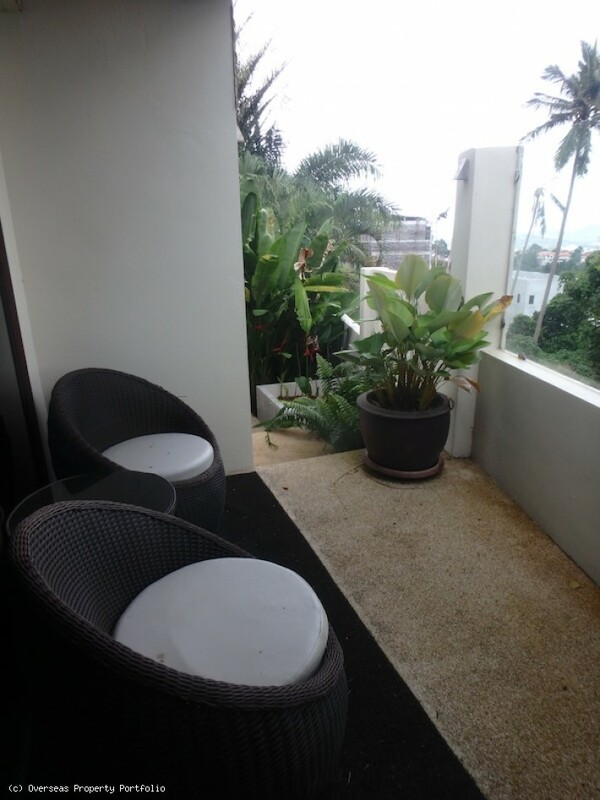 An external staircase takes you down to the ground floor with a spacious master bedroom featuring ensuite bathroom and a private terrace boasting fantastic views. 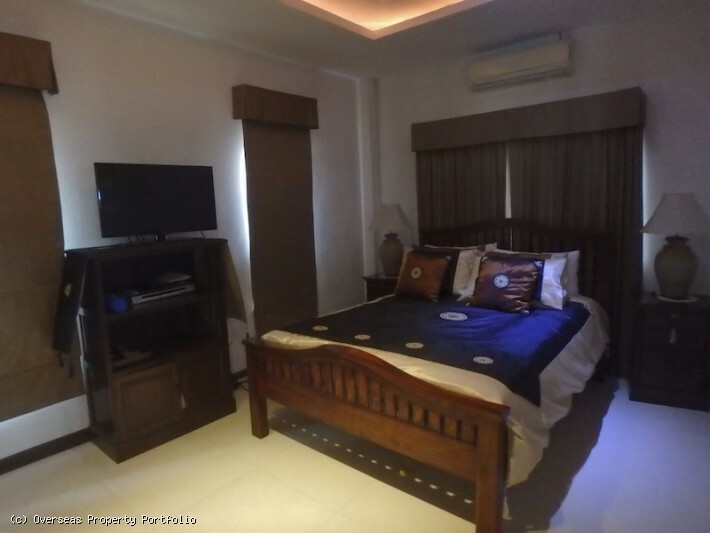 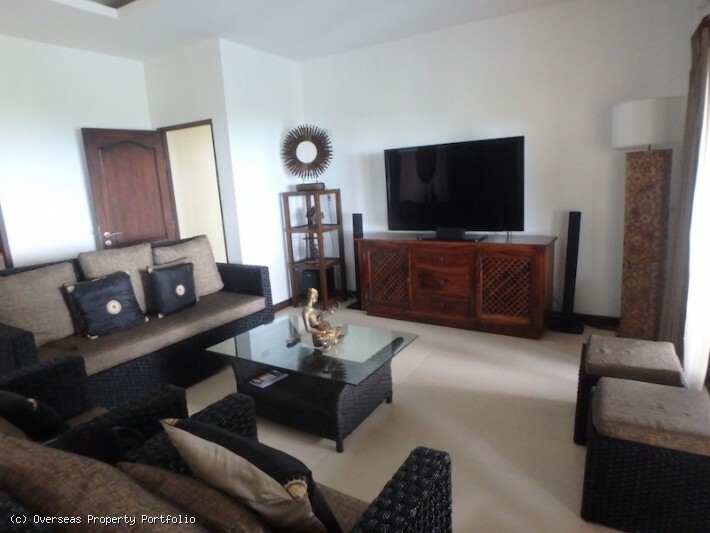 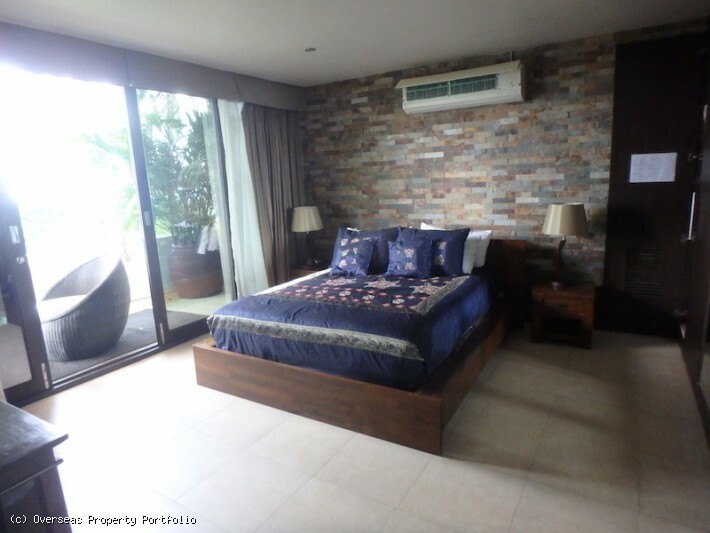 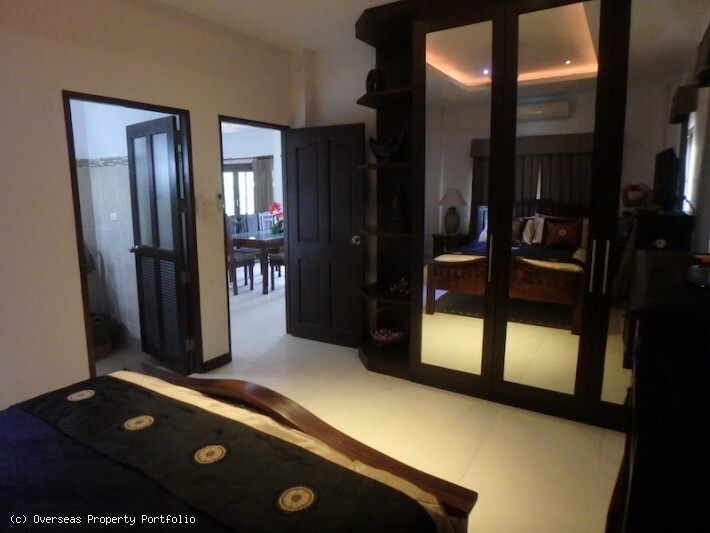 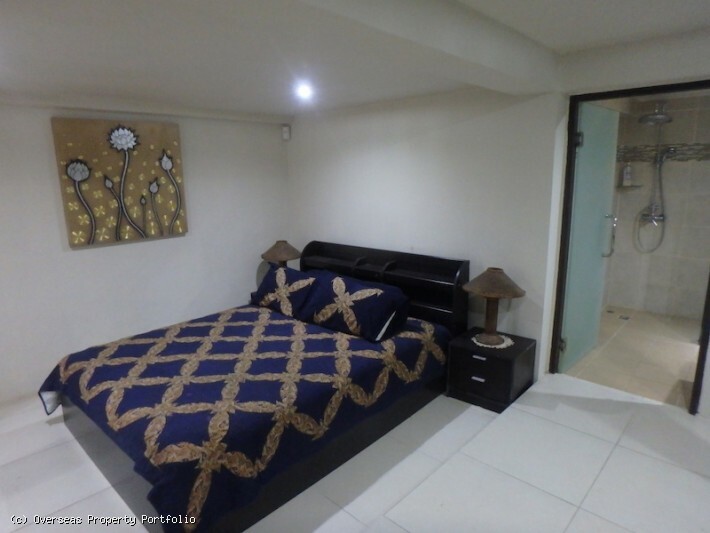 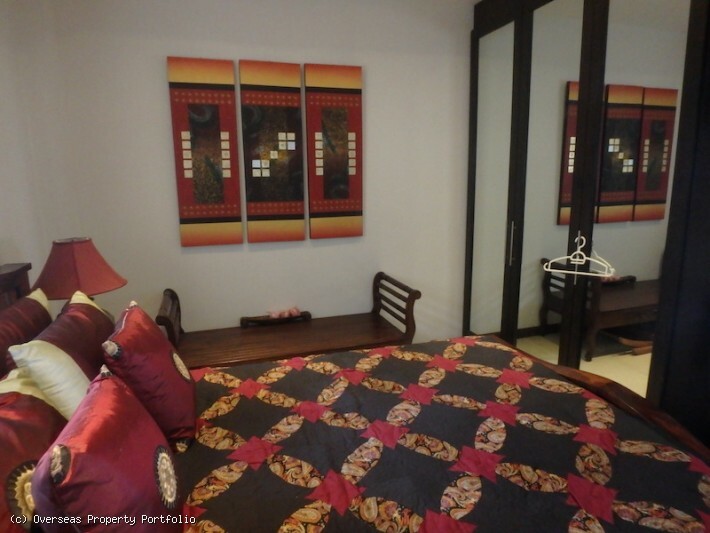 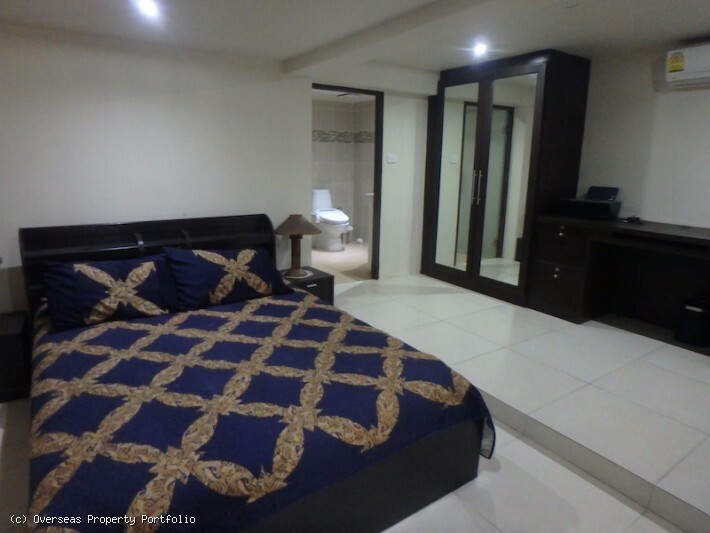 The fourth bedroom of this Koh Samui villa for sale is on the ground floor and has a separate access, ideal for guests visiting or young family members who want privacy. 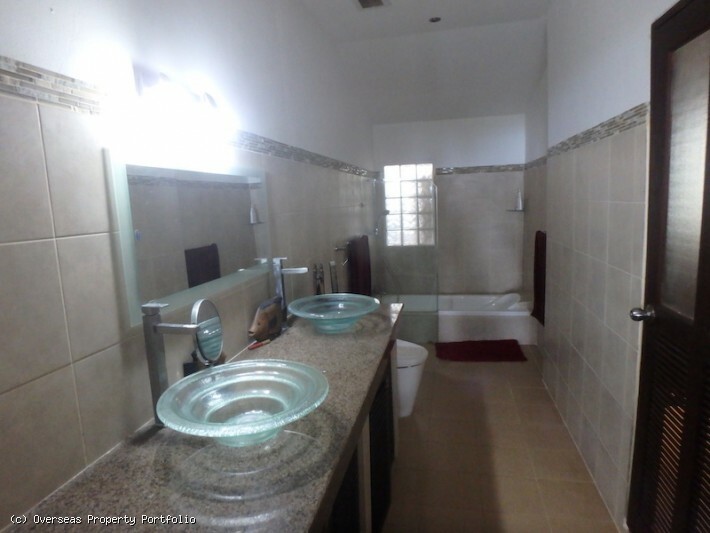 There are separate maid quarters with kitchen and bathroom, a large storage area and laundry in the basement. 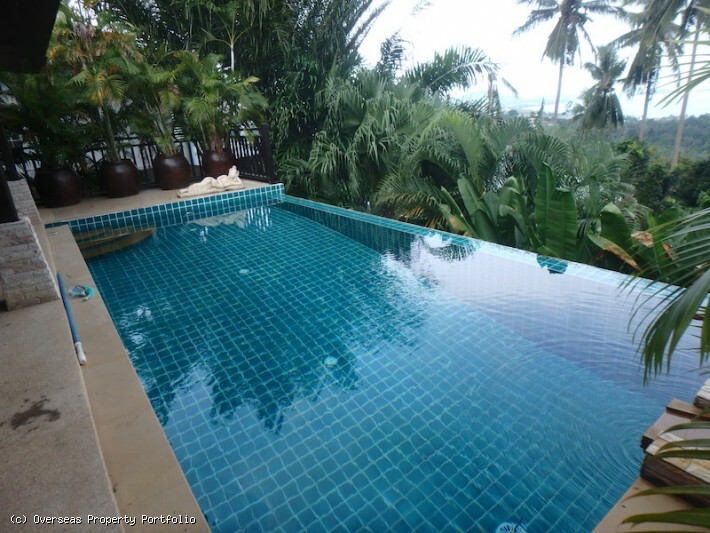 The peaceful villa benefits from its own deep well and no community fees. 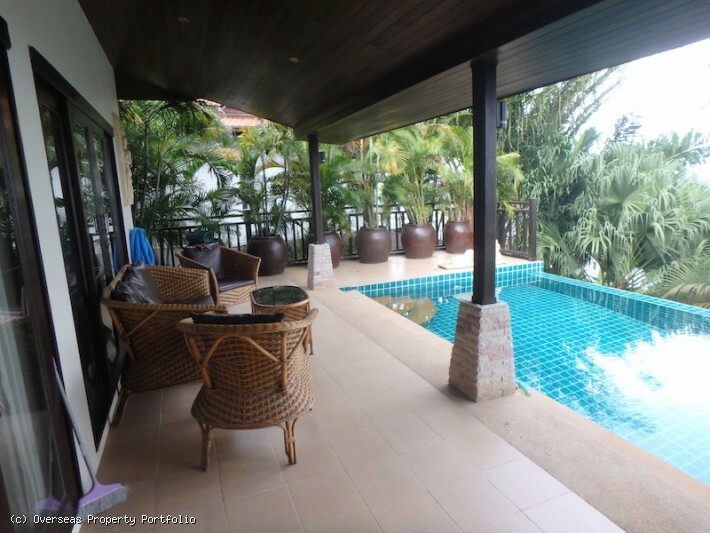 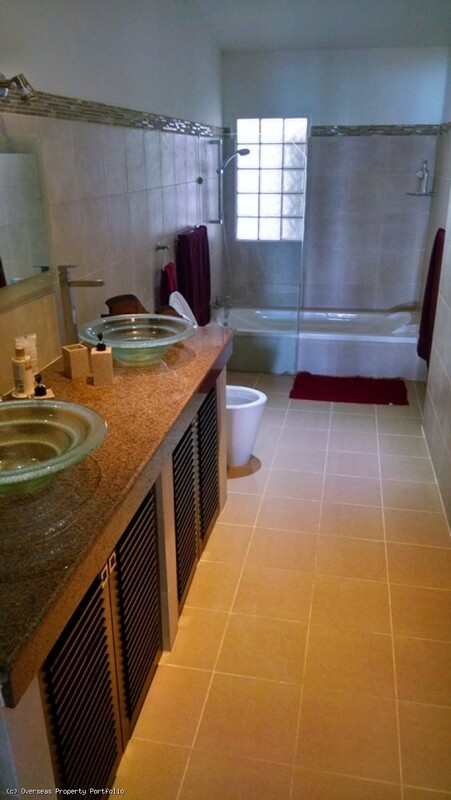 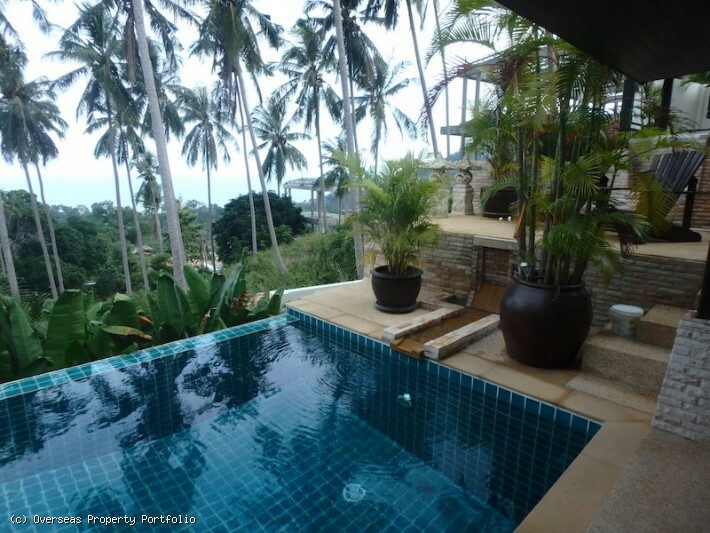 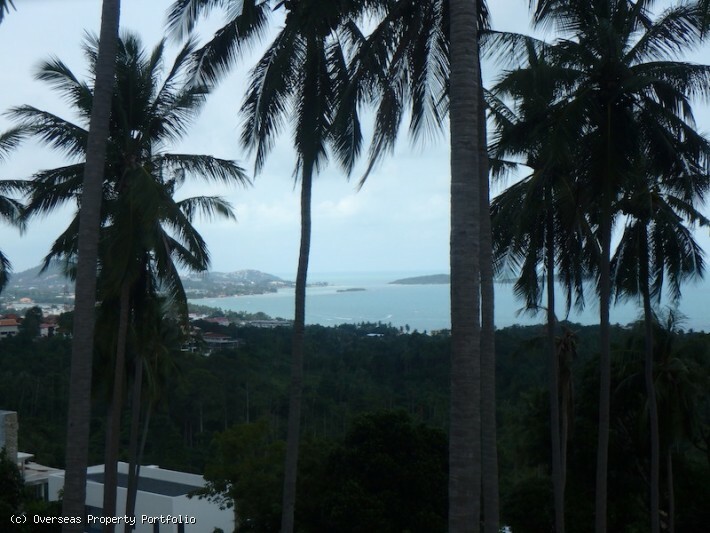 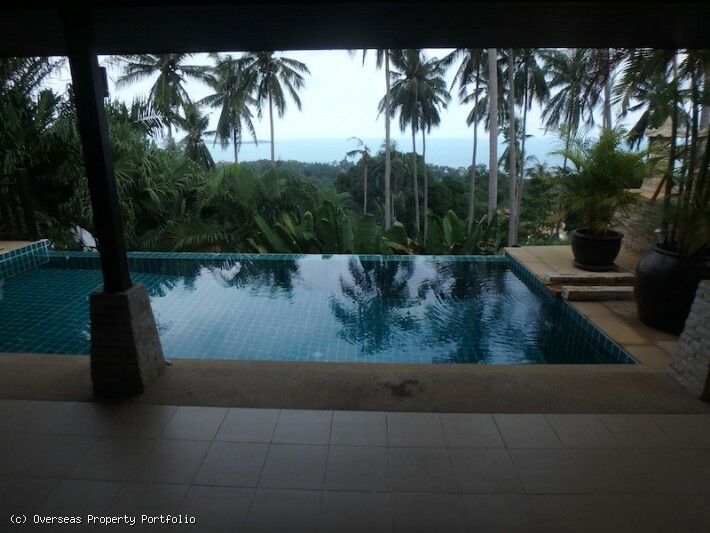 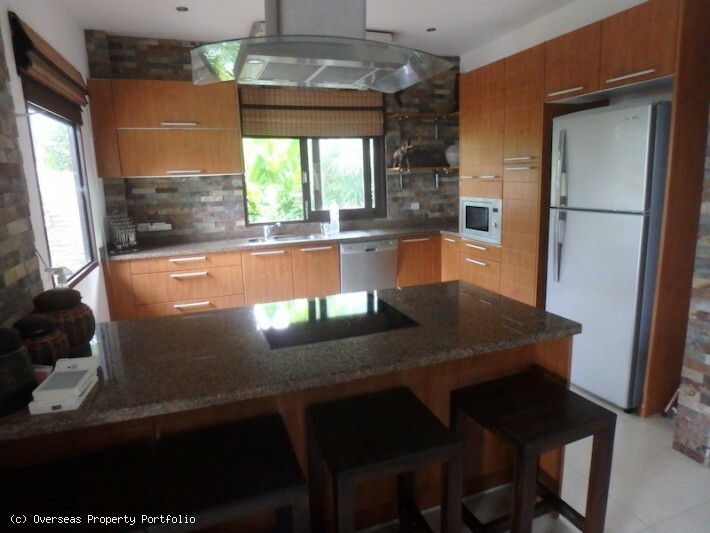 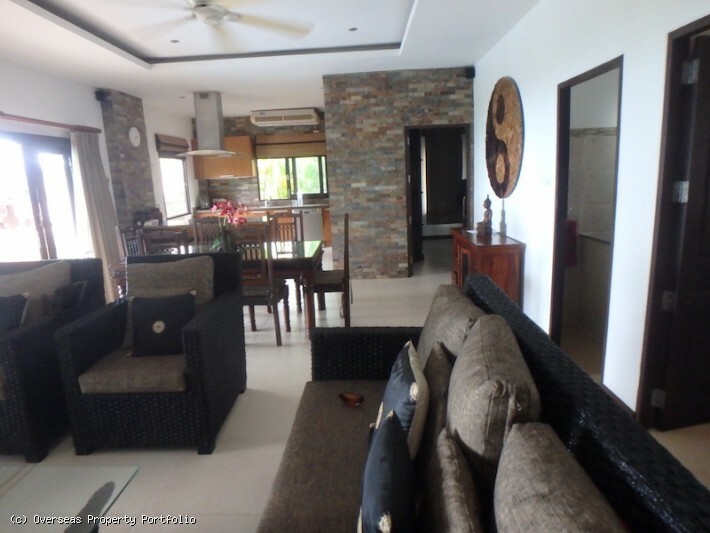 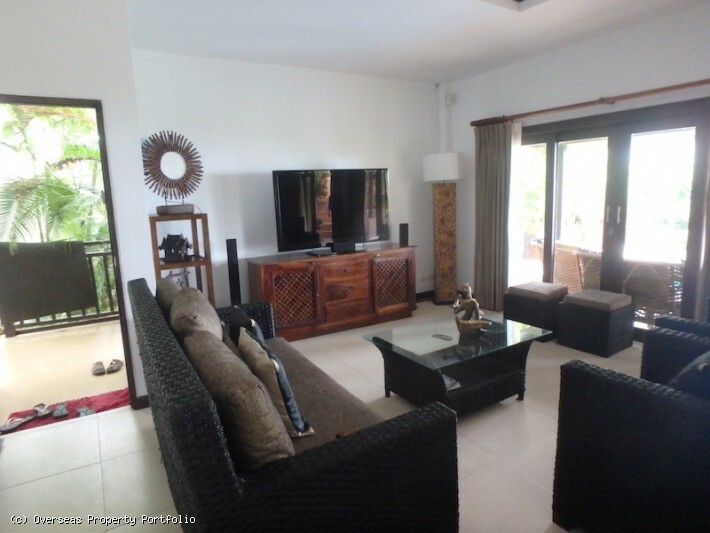 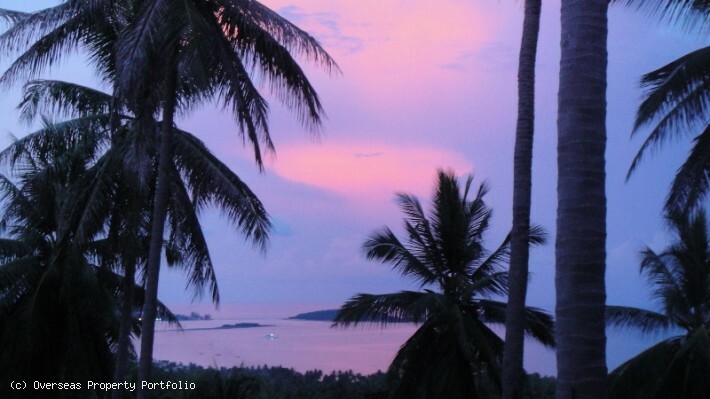 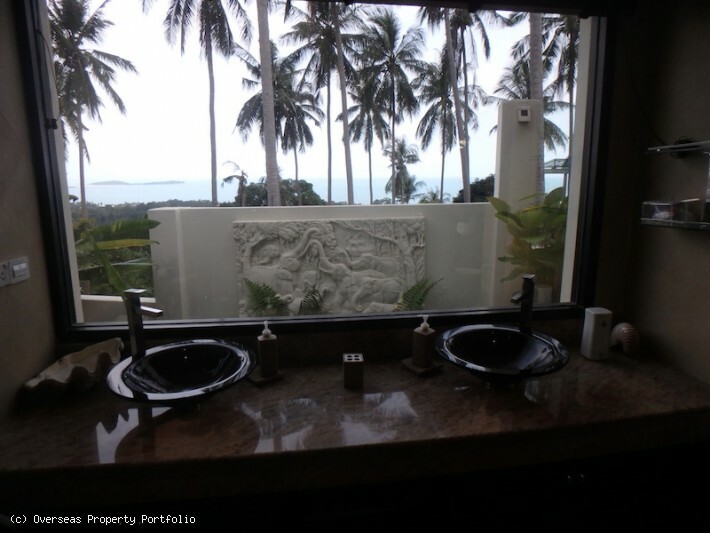 This cozy Koh Samui villa for sale will make a perfect private residence to live in all year round or a great holiday home/rental investment due to its prime location.